SCAIR Senior Advisor, Randy Edmonds is one of the honored local legends at the San Diego County Library and HHSA Aging & Independence Services new art exhibit - San Diego Legends: Living Well. 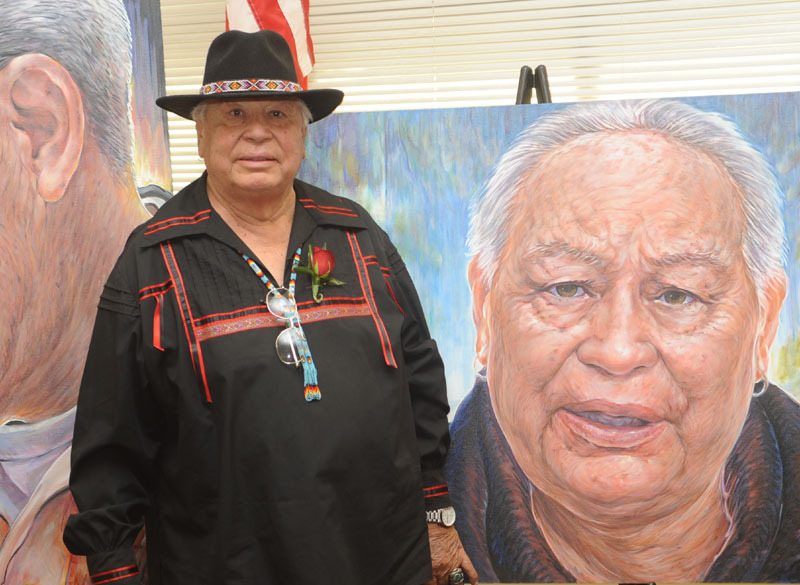 This annual recognition is comprised of painted portraits, photographs, and impact statements about six local elders who lead by example. 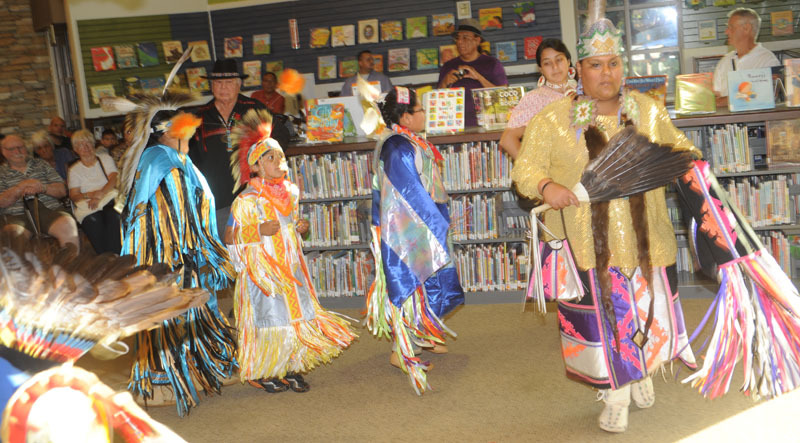 This all took place May 31 at 6 p.m. at the Rancho San Diego Branch. 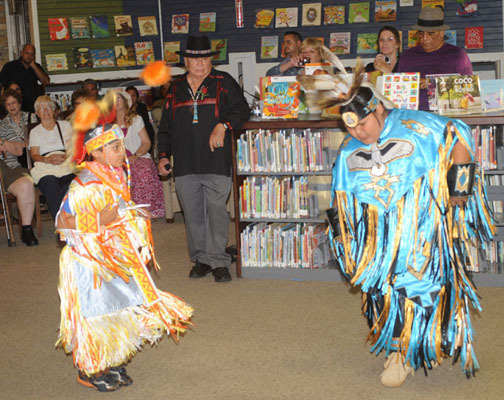 The exhibit included artist Mona Mills and the San Diego Legends plus refreshments and performances by the San Diego Native American Soaring Eagles Dancers and Ballet Folklorico Aquetzalli of Lemon Grove. 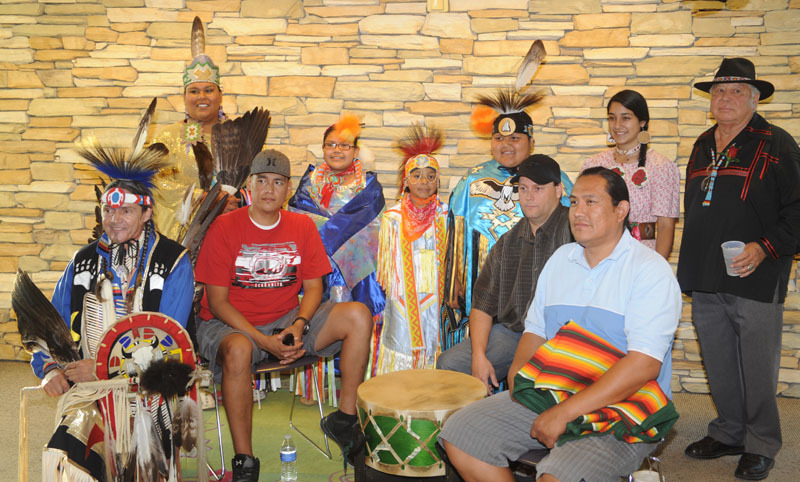 Our Native American San Diego Youth Soaring Eagle Dancers in full regalia and with traditional songs by the Green River singers represented each category of pow wow dance with spectacular response. Their attendance was in support of our honored elder and famous Emcee, Randy Edmonds. 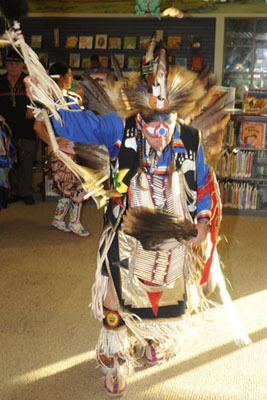 Enjoy these images from William Buchanan, American Indian Warriors President. He and Joaquin Sandoval, in Honor Guard regalia, added their support to this worthy event. All attending had a great, Aho time tonight!